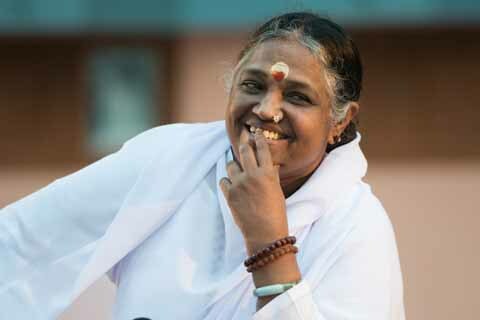 Spiritual leader, humanitarian and visionary Sri Mata Amritanandamayi Devi, known throughout the world simply as Amma, has served the world community for decades imparting wisdom, strength and inspiration. Truly a citizen of the world, Amma holds free public programs throughout India, Europe, the United States, as well as Australia, Japan, Sri Lanka, Singapore, Malaysia, Canada, Africa and South America. In her talks, she offers words of wisdom and guidance on both personal fulfillment as well as the most pressing matters of our time. To this day, Amma concludes her programs by embracing each person who has attended the event. Far from a brief book-signing or walk along the rope line, these personal one-on-one meetings take up the vast majority of Amma’s time. 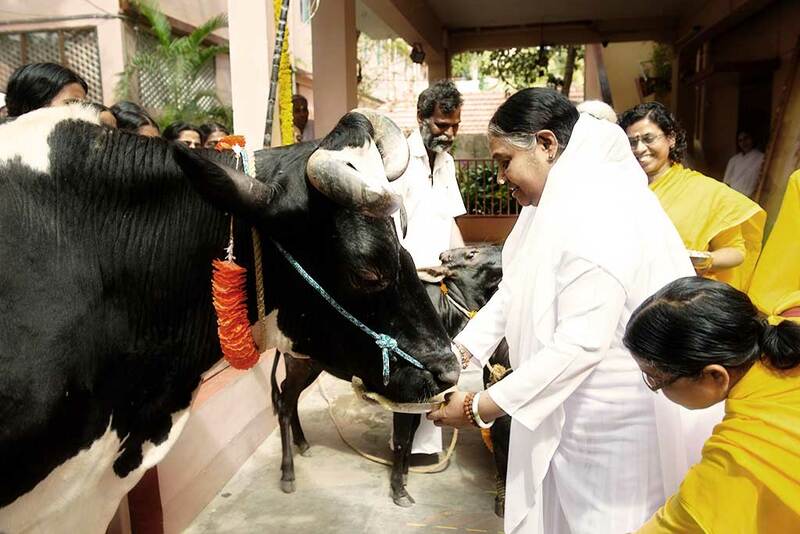 Amma has given this motherly embrace, known as her darshan, to more than 34 million people throughout the world. She has been known to give darshan for more than 22 hours without interruption. The most personally accessible spiritual leader alive today, Amma may well be on a first-name basis with more people than anyone else in the world. When people pour out their hearts to Amma, she offers them emotional solace, spiritual guidance, and concrete solutions to their problems. Receiving Amma’s embrace, many feel inspired to offer selfless service to those in need. In this way, this simple yet powerful act—a mother’s embrace—has become both catalyst and symbol for a growing international network of humanitarian initiatives known as Embracing the World.